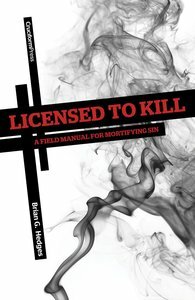 About "Licensed to Kill: A Field Manual For Mortifying Sin"
Brian G. Hedges is the lead pastor for Fulkerson Park Baptist Church in Niles, Michigan. He has been married to Holly since 1996 and they have four children. Brian is also the author of Christ Formed in You (Shepherd Press, 2010), Licensed to Kill (Cruciform Press, 2011) and numerous articles published in periodicals and online. For fun, Brian enjoys reading, playing golf, hanging out with his family, and watching good movies.